Perhaps it’s because I enjoy some micromanagement games, or maybe it’s the part of me that loves city simulations, but The Settlers always has a soft spot in my heart. Ubisoft’s Blue Byte has revealed a new iteration in the series, and it might finally surpass the re-release of Settlers 2. 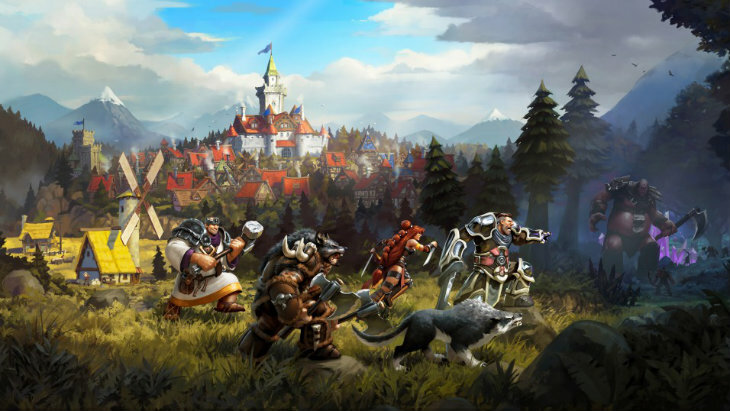 Here is the announcement trailer for The Settlers – Kingdoms of Anteria. […] Provide a completely new game experience by combining city building and real time strategy action. You will build up a prosperous economy and lead your champion through dangerous adventures in order to create a wealthy, bustling and glorious kingdom. It would seem that there is a renewed focus on the champion (read: combat) aspect of the game, although I’m hoping that they keep true to the roots of the game. Fans of the franchise love building roads and buildings, upgrading things, worrying about whether there’s a well in the right place and if all the careful planning was for nothing when new buildings mean pure traffic mayhem on those tiny little roads. Wait, was that just me? I swear, I could never get those guys to carry the bread, beer and water around the town fast enough. Will you be watching this new incarnation, or are you too faithful to Die Siedlers Zwei, the most revered version of the game? Do you think there is still room in the gaming market for these types of city-building simulation games, or has that market become so saturated in recent years that the older version are failing to connect with players?